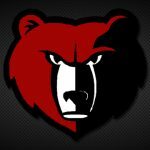 Due to a conflict, the junior high swim meet against McCulloch has now been cancelled. We have added a junior high swim meet at McCulloch on Monday, February 27. It will be a 5:30pm start at Marion High School. We have moved picture day for junior high swimming and wrestling to Wednesday, February 15. It will take place at 3:30pm at the high school. Picture forms will be sent to the junior high some time over the next couple of days. 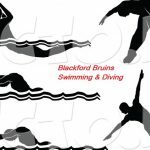 The Bruin swim teams took part in an invite at Oak Hill on Saturday that included schools from the CIC and TRC. The Bruin girls finished 5th of 7 teams. The boys were 7th of 7 teams. Coach Christine Geise shared, “This is invite was one of our best invites in a very long time. Multiple Teams · Jan 6 Swim Teams Compete at Elwood, Boys Get 1st Win!